At Stonebridge Elementary School Trey and Adam were instantly drawn to each other. "It's not easy to form a relationship with a kid with autism," Adam's mother says. Yet, from the start, Trey instinctively seemed to know how to bridge the gap with Adam. Also, Trey and Adam are best friends. 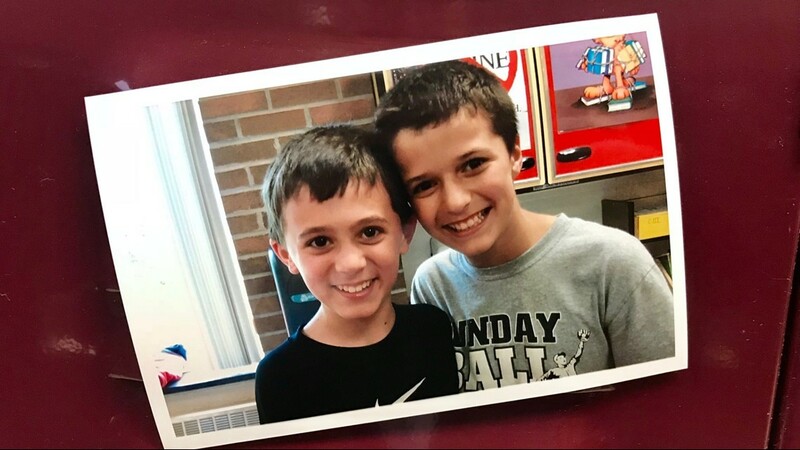 At Stonebridge Elementary School Trey and Adam were instantly drawn to each other. 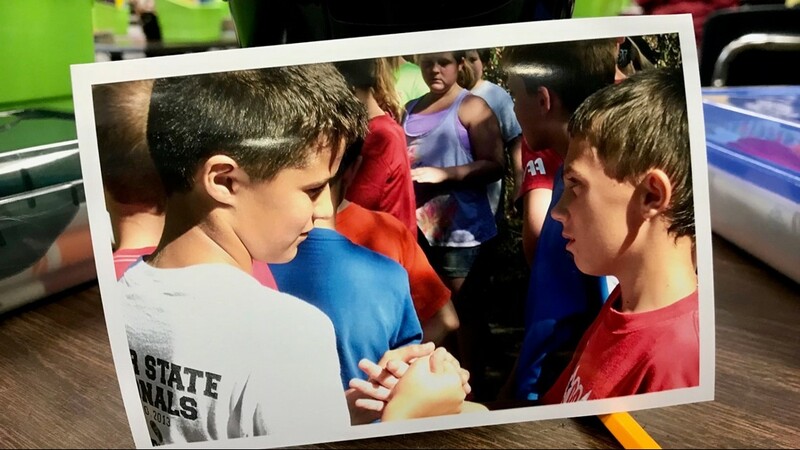 Trey Kruse (left) in a photo with Adam Potter. “I was very skeptical at first,” Adam’s father, David Potter, admits. And why not? Adam never had a friend at his old school. “It's not easy to form a relationship with a kid with autism,” Lisa Potter says. Yet, from the start, Trey instinctively seemed to know how to bridge the gap with Adam. 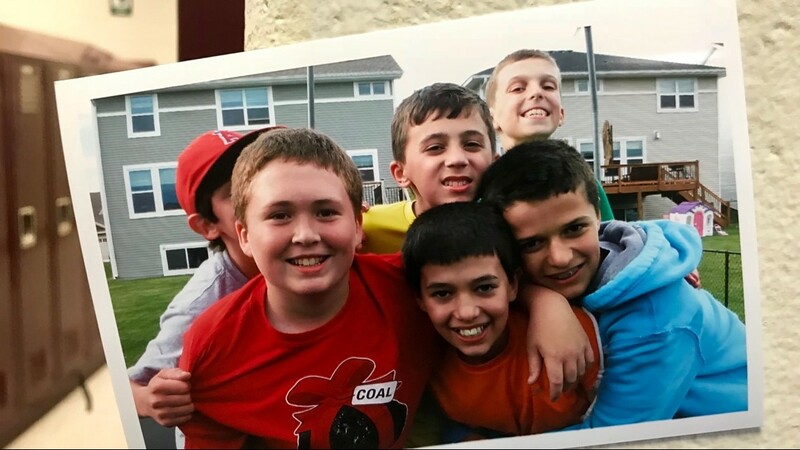 The boys’ sixth grade teacher, Andrew Jurek, saw it time and time again. “Adam would sometimes have meltdowns in the middle of school - sometimes he would have a hard day - and when we heard that, we would find Trey, we'd page Trey Kruse. Adam Potter waits in the hall at Stillwater High School for his friend Trey to pass by. Still, Jurek knew middle and high school would challenge the friendship. 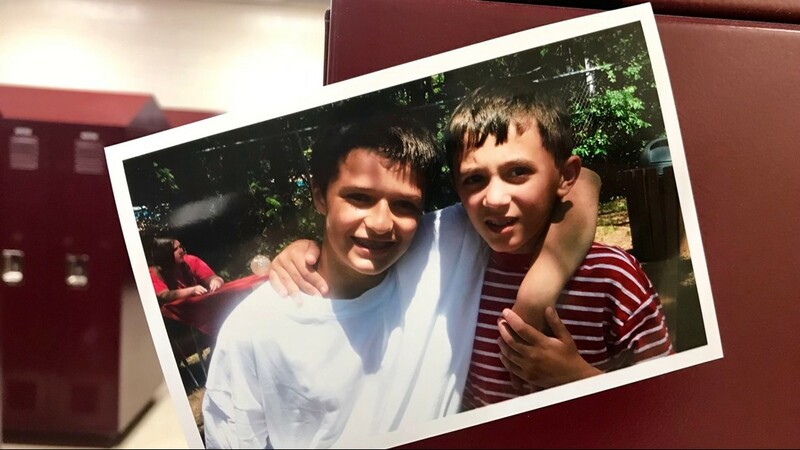 Instead of a shared classroom, Adam would be spending more time in special education classes, while Trey was destined for advanced courses. Adam’s parents, too, wondered how the bond between Adam and Trey might be tested. 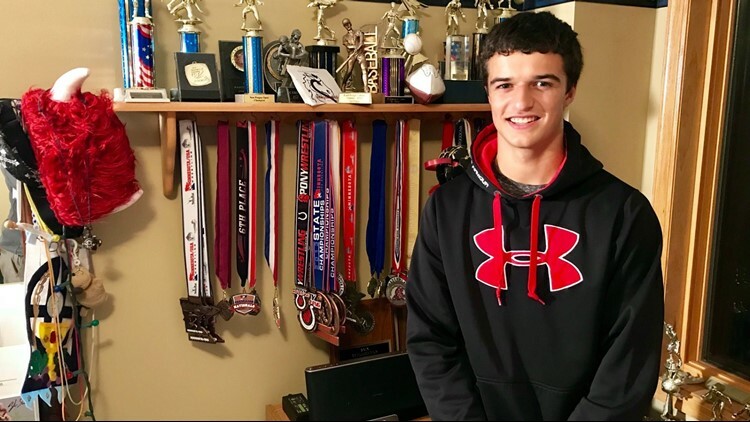 The captain of the wrestling team - with three trips to the state tournament and a 4.0 grade point average – is also still captain of team Adam. On a recent off day from school, Trey and Adam played board games in Adam’s basement. 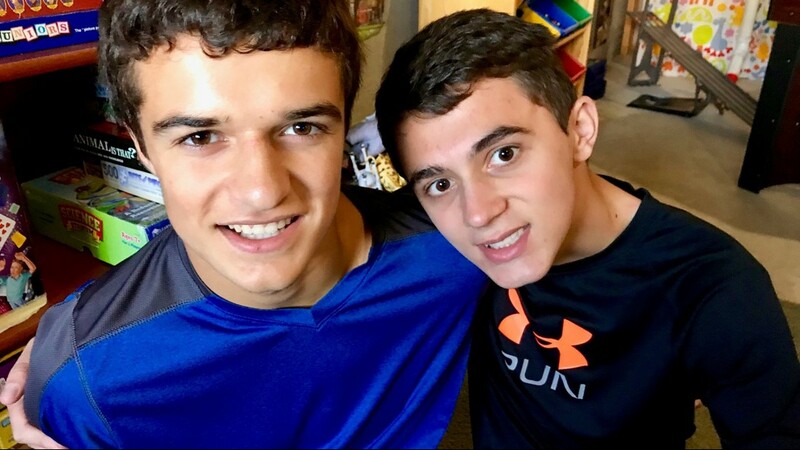 Then Trey drove Adam to the Pony Activity Center, where the teens walked the track and lifted weights, before grabbing lunch together at Noodles & Company, their favorite place to eat. Trey and Adam converse occasionally, but mostly seem content just being together. Lisa Potter says Trey’s quiet and calm demeanor is perfectly suited to her son. Adam's mom compares autism to being lost in strange, far-off land. It was Trey, after all, who signaled to the other students at Stonebridge that Adam was a cool kid with whom they should hang out. Alone at school in Nevada, suddenly Adam was surrounded by friends. Adam’s parents believe Trey made the difference. “Can't hurt when you're friends with the most popular kid in the class,” Adam’s father laughs. “What teenager will hold another teenager’s hand?” Lisa Potter asked. “Trey’s absolutely OK with that. 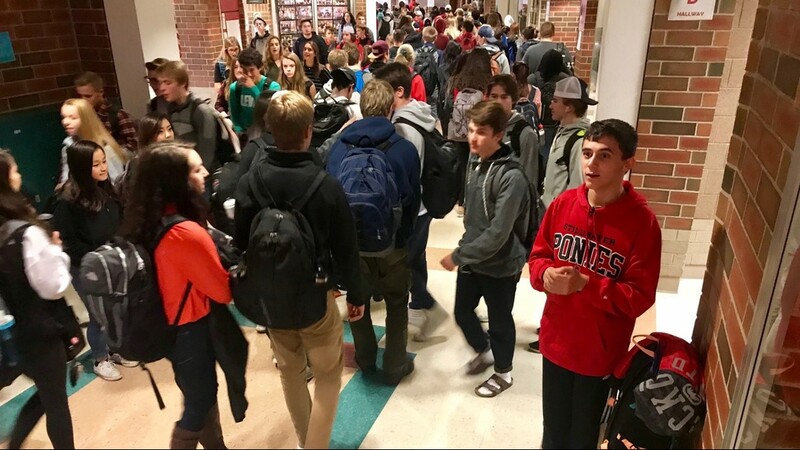 At Stillwater High School Trey takes the same routes through the halls to make sure he connects with Adam at least twice a day. Adam scans the hallways, waiting for Trey and a handful of other friends to pass by. The connection with Trey is brief - not much longer than it takes to say hello - but to Adam, essential. “If Trey is absent from school, we can almost expect a call from the school saying Adam had a bad day,” Adam’s father says. Adam’s family is aware the clock is ticking. At the end of the next school year, Trey will be going off to college, while Adam moves to a transitional school. Those less understanding of that character, may wonder what Trey gets out of the relationship. “Just a friend,” Trey responds when asked. It’s an answer beautiful in its simplicity. Stillwater High School friends Trey Kruse (left) and Adam Potter. Hear the story behind the story with Boyd and photojournalist Chad Nelson below.